Here is a monocyte. 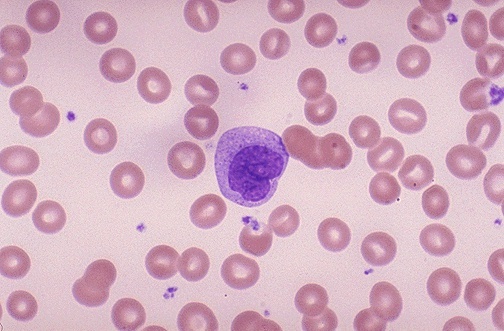 It is slightly larger than a lymphocyte and has a folded nucleus. Monocytes can migrate out of the bloodstream and become tissue macrophages under the influence of cytokines. Note the many small smudgy blue platelets between the RBC's.